We use mesotherapy to reduce and eliminate stretch marks. 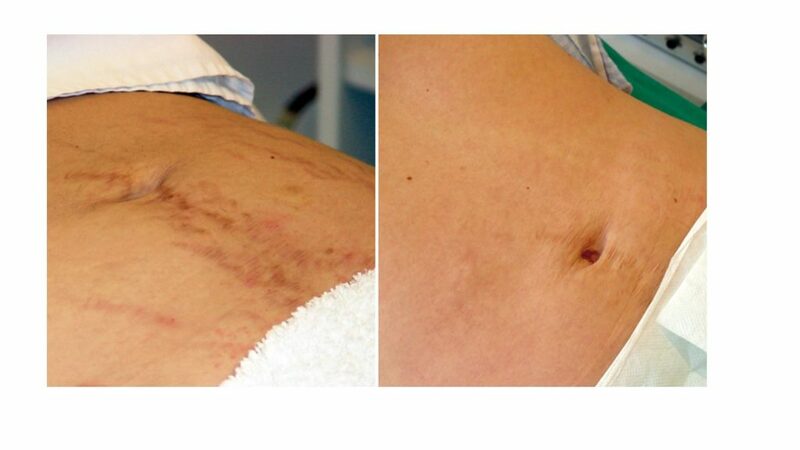 Stretch mark therapy is also performed in cycles. It is not possible to say how many treatments will be necessary until the patient has been examined. The result is maintained by top-up treatments. Stretch marks are atrophic scars on the skin. They can be linear or fusiform, are of varying length, are shiny in appearance and have well defined borders. They are caused by alterations to the skin’s conjunctive tissue as a consequence of structural modifications to the collagen and elastin fibres. They start off reddish in colour and then fade over time to off-white.